I have struggled with how to express this loss, and hadn’t decided on where to share. Here seems appropriate. Considering myself a word guy, it has been a new kind of lost… I’ve sat down to write several times and nothing good had come of it. I felt I should defer to the words of those who knew him better, but if it’s in ya, it’s gotta come out. I may have heard Childhood on Bay State Rock in the day — I can’t specifically recall. I do recall reading about them in the Telegram. I first met Scott near the beginning of a five year run showcasing local music on “Worcester Rocks” on WORC in 1999. Roger Lavallee responded to my call for material by sending a CD of various artists he had engineered. 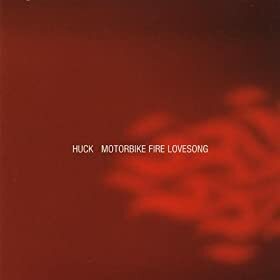 To say I fell in love with Huck’s sound was an understatement. Their “One Hit Wonder” became my favorite song for years and got such amazing feedback from listeners that the song easily was number one on our first annual top 20 countdown. Astonishing, considering that most of the show’s early supporters were metalheads. Having played in a local band and feeling like I had a good grasp on “how Worcester worked,” I was initially disappointed when I was introduced to Scott — he was somewhat indifferent to meet a fan of his work and a local DJ who had been supporting the project. It didn’t take me long to realize that I was foolish to even try to have a conversation with the man when he was in his pre-show ritual of enjoying drinks, gearing up for a high-energy performance and thanking all of the fans and friends who attended a packed Ralph’s that night. After the amazing show, I again spoke with one of the most genuine human beings and humble-with-no-reason-to-be cats I would ever meet in life, never mind among the local scenesters. At other shows in those days, I could become almost annoyed with conversations about how excited a musician could be about their new material or slate of gigs and how they wanted so badly to played on the radio. This performer appreciated the support, but spared the glad-handing. He had much more to offer. The performance. I hung out in the rafters with Scott for a Deadites show upstairs at the Palladium once. We talked the entire night about standup comedy, spending most of our time on Bill Hicks. In circumstances where most peoples’ favorite subject is themselves, he had ample opportunity to talk about how the amazing Steven Wright was a huge Childhood fan. I had to pick that up anecdotally years later. For years, my band Hitch were generally booked with metal bands, though I felt we were mainstream rock. I tried to sell bookers on billing us with Huck because I felt we could fare better with fans of the sweet, sweet, guitar pop of Huck than risking being far too soft for a metal crowd. On our last show before disbanding, we were finally given the opportunity to share a bill. That enough was an honor. Unbeknownst to Scott, I felt I would be completely lost without my Hitch bandmates. The guys had coddled me a bit and instead of reading music, tab,s or having a great ear, we developed a kind of shorthand in communication so I could stay solid. I was a bass player who was proud of my lyric writing, but frankly was basic. An overmatched hack in most circumstances. Knowing it was the last night of our run, he shared some words with me about my playing, writing, and singing. He encouraged me in general terms, and told me HE’D LIKE TO WORK WITH ME SOMEDAY!! He told me that the songs I wrote were obvious as opposed to the other band members and that I was inspired! and that he had spoken with Roger about how he thought it would be a good idea to try to mine the talent in me! The way that story turns out is that I have not been an active musician since that day in 2004 save for some Church stuff, but just knowing that the great Scott Riccuiti saw something in meant a great deal to me. It never turned into anything, but on a night where I could have gone down a depressing path, his words validated my musical journey. I don’t regret much in this life. I’m now feeling regret that such a great man and musician put on the table that he could have been a mentor. I don’t regret that my life has taken me mostly away from the Worcester music scene, but I regret not being able to mix in local shows in general and more Huck/Scott nights in particular. There will be a next time I write about those days. I aspire to make it a love letter to the local scene — about gain.. And not loss. Everyone who knew Scott Riccuiti is better for it. I was not the closest friend to the man. That is completely my fault, and I missed out. Thanks a lot for the comments, Doc. Beautiful! I’m impressed, I have to admit.Seldom do I encounter a blog that’s both equally educative and entertaining, and let me tell you, you have hit the nail on the head. The issue is something which nnot enough folks are speaking intelligently about.